Everyone knows what they want: the perfectly cooked steak. But there are so many different paths to get there, and we want to lay them all out in front of you. It goes without saying that this guide starts with a great cut from a butcher you can trust, nice and thick and seasoned at least 45 minutes before cooking. Feel free to ask for your butcher’s advice on what cut to use with your chosen method but for best results always look for something nice and thick, with some lovely marbling. And don’t forget to rest the meat before serving. For many Aussies, this is probably the most obvious way to tackle a beautiful piece of meat. We’re not talking about throwing a cheap cut down on that hunk of steel in your local park to watch it slowly boil before suddenly burning to a crisp. And it’s not dad’s flame-grilled (read: literally on fire) distracted-by-beer-and-the-footy cooking method either. Grilling is arguably the simplest way to cook a steak, but make sure you pre-heat the barbecue to a medium-high temperature before getting started (flick a drop of water to check it sizzles). Throw an already seasoned steak on to the grill – rib-eye is probably the king here but porterhouse, sirloin and T-bones are also prime picks, while hanger and skirt can be great cheaper options – and turn as many times as you want until it reaches the temperature you want. Seriously, don’t worry about most of those steak myths you’ve heard. There are different barbecue techniques you can use but we’ll cover those further down. Barbecuing might be the most common way to cook a steak – but this is the best. At least according to J. Kenji Lopez-Alt, who ought to know as he devotes his life to scientifically testing different cooking methods to find which is the best. The benefits of the reverse sear approach are huge: Even cooking; a tender, juicy centre; rich brown outer coating and flavour for days. The only downside is the extra time it takes. The long-believed need to sear at the start to seal in those steak juices is a myth. Instead, start your steak in the oven at as low a heat as possible (although most ovens won’t sit comfortably much below 100°C). Raise the steak up to about 41°C (for medium-rare) in the oven before taking it out and throwing it in a smoking hot skillet with some oil and a little butter. This will give you a better delicious brown crust because the steak’s exterior is already dry from the oven. The reasoning behind a drier steak producing a juicier steak is a bit sciency but you can read Kenji Lopez-Alt’s explanation in more detail here or check out this take from Dean Bradley, of the Nobull BBQ Competition Barbecue Team. Smoking can really change the texture and flavour of your steak. There are two reasons for that. Firstly, the smoke of the wood itself can impart flavour into the meat. 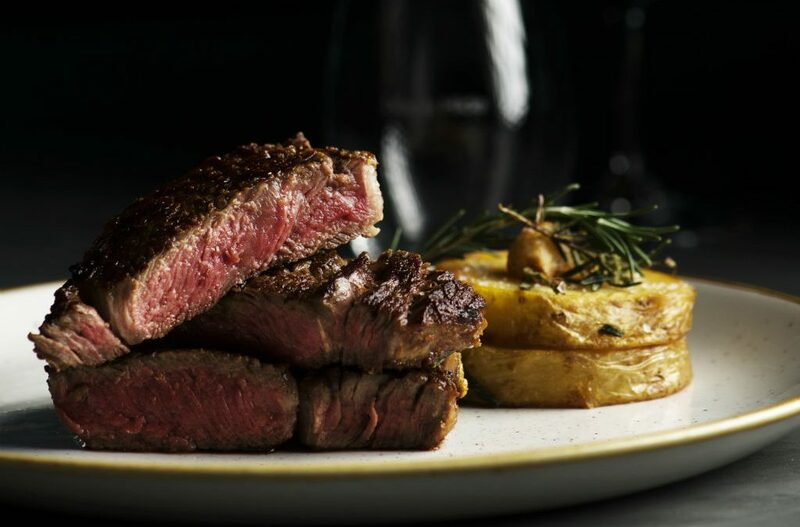 Oak and hickory are your classic options for steak, thanks to their moderately strong flavours but fruit woods traditionally used with lighter meats can work too. Secondly, the slow cooking method gives you an incredibly tender end result. If you have a dedicated smoker, you probably have your own methods, but a standard hooded barbecue can also be used to smoke. Fire up one burner and put the meat on the opposite side, keeping the barbecue around 80-100°C. The aim is for your steak to reach about 55-60°C (for medium rare) in roughly two hours. If you want a harder crust and those sweet grill marks, leave it to cool down several degrees before throwing it on at high heat for a minute or so each side. This method has two things going for it: speed and simplicity. You’re going to want a heavy-based griddle pan pre-heated to medium-high heat and a steak that’s been pre-seasoned well in advance. Simply place the steak on the hot surface, pressing down with a spatula to make the cooking surface more even if you like, then cook and turn until you reach your desired temperature. Douse in butter and herbs for a different flavour profile and don’t forget to let it rest. The drawback here is that you’ll find it much harder to turn out a piece of meat that’s cooked evenly the whole way through, while still achieving that delicious outer crust. It’s a French word pronounced sue-veed and it means ‘under vacuum’. This technique was actually the inspiration for many when they began experimenting with reverse searing. It’s arguably the most reliable way to get your prime cut perfectly cooked, but it isn’t for everyone. 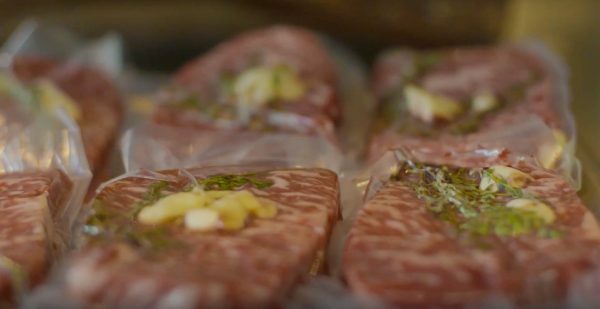 The process involves placing your raw, seasoned steak into a sealed plastic bag and immersing it in hot water. In a sous vide machine, that temperature can be controlled to the degree (or even more specifically) and you can leave the meat there for upwards of an hour. Although you’ll notice changes like a metallic taste or weird texture if you leave it for more than a couple of hours. Finish the steak on high heat in a pan or grill for that crispy crust. There are a few downsides, namely time, a slightly inferior crust and the expensive piece of kitchen equipment. Some people also find the texture of meat cooked in a sous vide to be slightly rubbery. 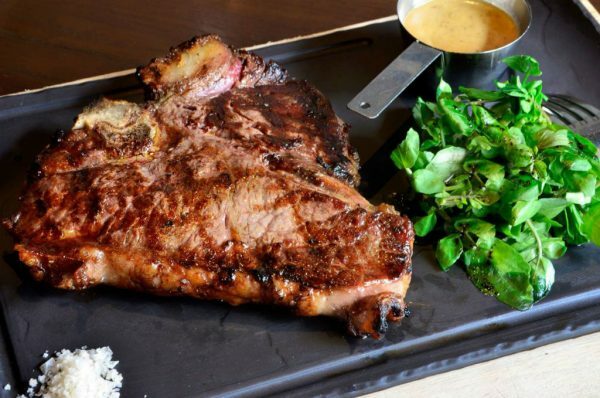 This is another classic and a great option for a delicious bone-in rib-eye. Basically, sear the steak in a smoking hot pan before transferring to the oven for a nice, even finish. It’s a great, relatively simple way to get that delicious brown crust, combine with an evenly cooked, slightly pink centre. Of course, it will take more time and unfortunately won’t give you such a reliably delicious outer layer as the reverse-searing option. If you like the idea of cracking open a delicious piece of ready-to-eat meat like an egg, this method is for you. Plus, you’ll get a tender, evenly cooked piece of meat ready for slicing. Irrespective of what cut you go for, the method should be largely the same. You seal the meat on a grill before making a nice, chunky salt crust around a decent-sized cut of beef with the help of egg whites. Throw it in a 180˚C oven for roughly 20 minutes per kilogram and let it rest for about half the cooking time before cracking open your salt shell and carving. One thing’s for certain – you will impress a dinner party if you can nail this method. What could possibly be better than steak? Well, steak stuffed full of even more delicious flavours. Flank steak is perfect for this method, which will see you butterfly the steak before stuffing it with virtually anything you can think of, rolling it back up and tying it with butcher’s twine. Anything from pesto to sliced meats, cheese or vegetables will work well. You’re going to want to cut the rolled, tied and skewered steak into slices before seasoning and cooking with one of the spiral sides to the grill. One of the best things about this cooking method is that flank steak isn’t as popular so is often a cheaper option. Crack a bottle of red and get yourself some cheeks or shanks. This method is better done with a nice slow-cooking piece of beef and is our go-to for a heart and body warming, melt-in-your-mouth end result. Quickly sear the meat before letting a delicious liquid mixture (usually including some red wine, stock and tomatoes) do the rest of the work for you. Braising is hard to beat for tender, rich, comfort food, but it will probably take you more than three hours to whip up. Here’s one for true caveman meat-lovers, the so-called “dirty steak”. If you’re already cooking with charcoal, you can do away with the grill plate altogether and throw your meat straight on the hot coals. Don’t worry, you won’t get too much of an ashy crust and, despite facing temperatures well in excess of 400˚C, your beautiful steak won’t burn to a crisp. In fact, they’re likely to cook surprisingly evenly. 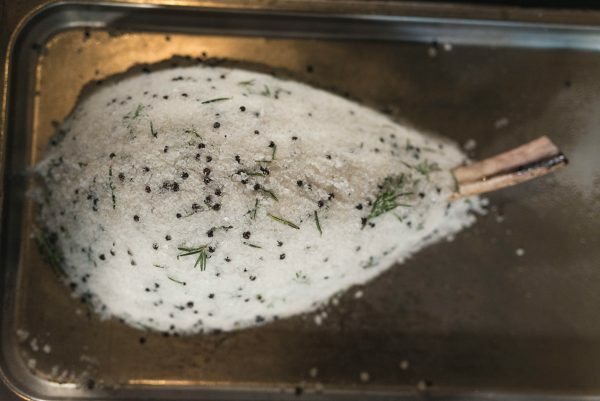 This method is quick, rustic and might shock guests a little at your next barbecue. It works best with fatty cuts of meat. The New York Times goes through the process in more detail and Epicurious has a recipe. So, um, be warned and honestly probably don’t try this at home. This method calls for a deep fryer, a sous vide cooker and liquid nitrogen, so it absolutely should not be attempted by anyone without extensive science lab experience. University College London materials scientist Professor Mark Miodownik has come up with perhaps the most complicated steak-cooking procedure ever devised. In the BBC’s Chef Vs Science, he brings his steak up to 55˚C in the sous vide then dips it in liquid nitrogen for 30 seconds to cool the outer layer. This stops the meat heating up another couple of degrees, which he says would result in shrinking and toughening, thanks to moisture being squeezed out. He then drops the whole thing in the deep fryer filled with duck fat to produce a delicious crusty brown layer with what’s known as the Maillard reaction. A transcript of the segment is available here. This is literally a recipe for food poisoning if you stuff it up, so again, take care and maybe stick to a classic grill. Blumenthal starts by blow-torching the entire outside of a huge chunk of bone-in beef rib to kill off bacteria (without this step you are just creating rotten meat) and start the cooking process. He places that into an oven preheated to a balmy 50˚C and waits… for 24 hours. Yep, that steaks sits there “cooking” for a whole day, which he says effectively dry ages it in a relatively short amount of time. Then rest (for 2-4 hours), debone, season, slice into steaks and cook on a searingly hot pan for four minutes each side. Upside: Potentially incredible, perfect steak. Downsides: time, your largest ever electricity bill, potential food poisoning. You’ll also need an oven thermometer, not just the built-in one, to get the temperature right.